Happy (Day Before) Independence Day! 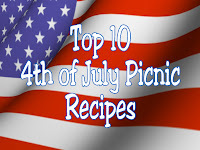 I hope you haven't waited until the last minute to decide what you are taking to the Big Picnic tomorrow, but if you have (then we are both in the same boat.) 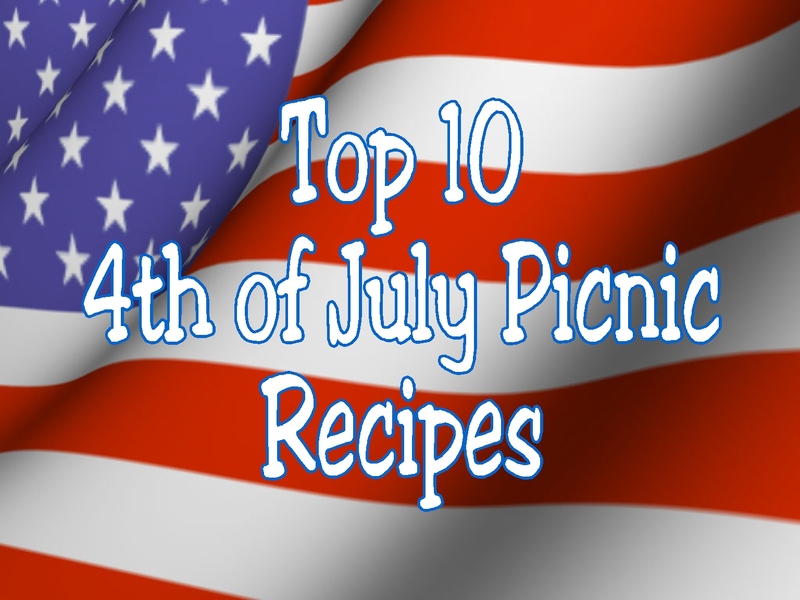 Here are a few of the top 10 Patriotic Red, White, and Blue desserts you might consider for your 4th of July Picnic. 1. Red, White,and Blue Candy Buttons by Sweet Sugar Belle. 2. 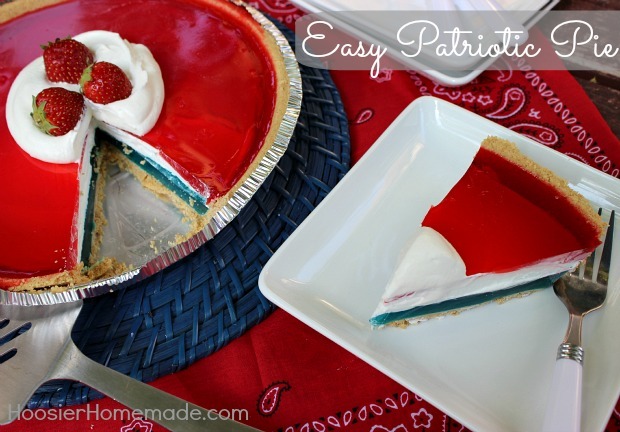 Easy Patriotic Pie by Hoosier Homemade. 3. 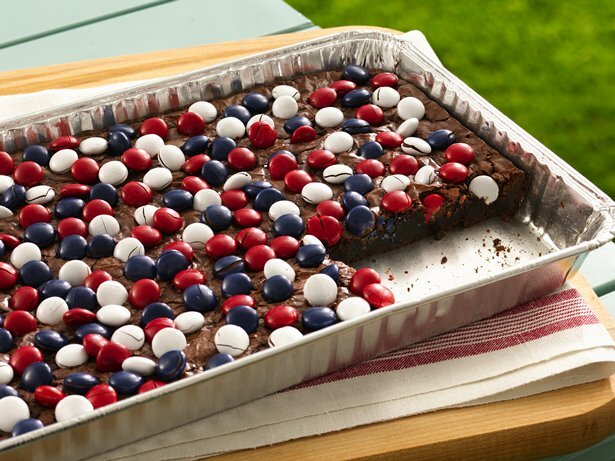 Red, White, and Blue Candy Topped Brownies by Betty Crocker. 4. 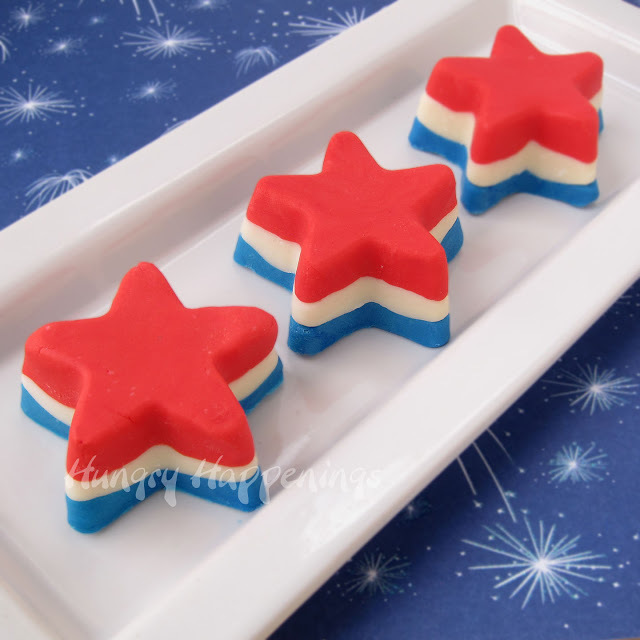 Red, White, and Blue Patriotic Fudge Stars by Hungry Happenings. 5. Red, White, and Blue Raspberry Candy Bars by Cherry Tea Cakes. 6. Red, White, and Blue Patriotic Fruit Salad by Family Ever After. 7. 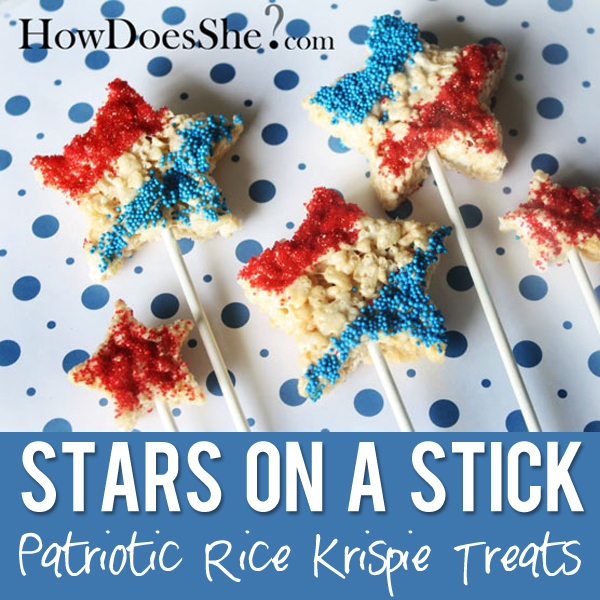 Stars on a Stick Rice Krispie Treats by How Does She? 8. 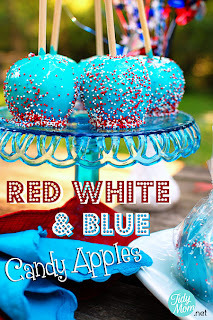 Red, White, and Blue Candy Apples by Tidy Mom. 9. Let Freedom Ring ring pop by Lisa Storms. 10. 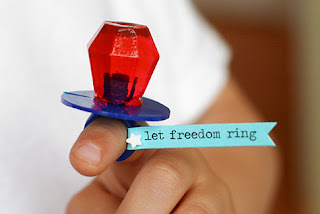 Patriotic Push Pops by Kims Kandy Kreations. I hope that this has inspired you to make one of these sweet treats for your 4th of July Party....or maybe you will want to make all of them. After all, it's what the founding fathers would have wanted.